AX-B2120ST, AX-B2120RD, AX-B2120CW, with 20m probe, and AX-B1136TC telescopic version. colour image transferred to a 7” LCD screen. 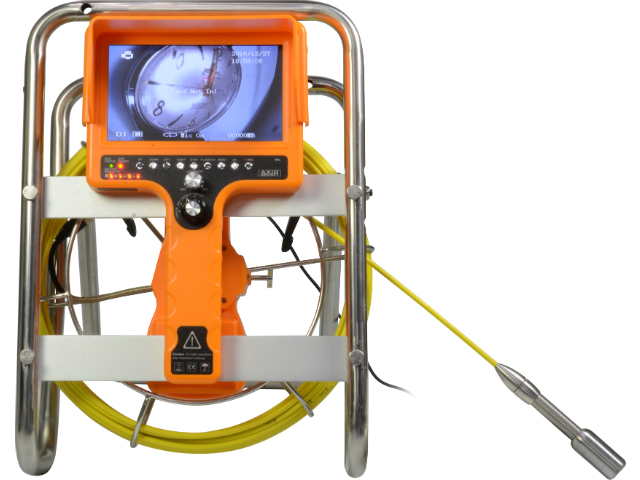 AX-B2120xx series products allow you to inspect hard to reach spots with poor light, such as ventilation openings, cable ducts, chimneys, pipes, etc. Instead of a transport case, AX-B2120CW is delivered with a metal stand for easy operation. The AX-B1136TC telescopic inspection camera is perfect for examining places at heights, with no need for using a ladder or a scaffolding. It works well in cable ducts, chimneys, ventilation and air conditioning systems.